The Heath Ledger: Offseason workouts pay off for Salvation Army bell-ringer. 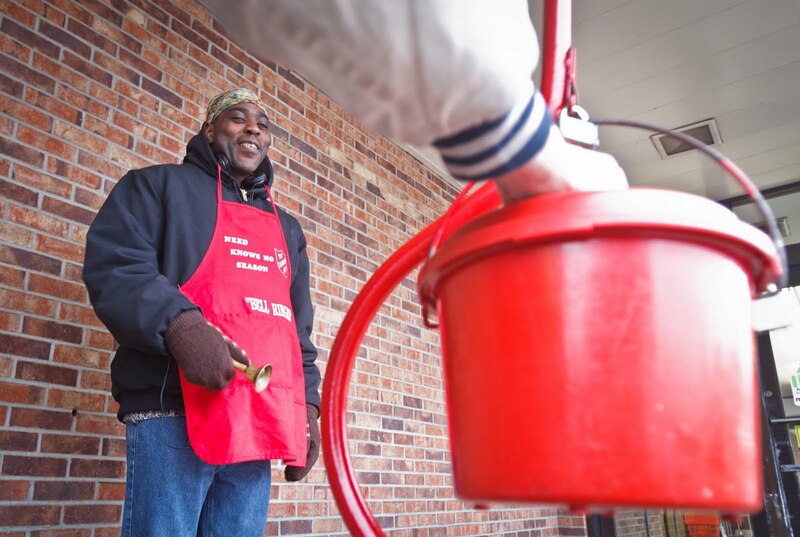 Offseason workouts pay off for Salvation Army bell-ringer. WESTERVILLE, OH - Veteran Salvation Army Bell-ringer Alonzo Plas, 52, really bulked up this offseason and it’s translating into more donations than ever before. Plas developed his exercise program one late, lonely Friday evening after masturbating into the family toilet. When he’s not feeling up to it or has a headache, Plas uses Shake-Weights to mimic that feverish bell-ringing motion.